These heat pipes hugs cooling coil from two sides (evaporator and condenser) in the AHU provides precooling and reheating in sequence. These heat pipes enhance the moisture removal thereby controlling over indoor humidity, with virtually zero operating cost. 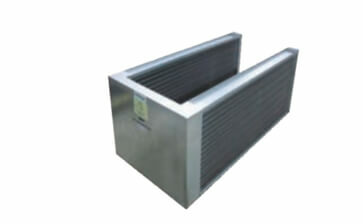 These heat pipes can be installed (straight/vertical) either in ductwork or as a part of AHU. The focus of Straight heat pipes is used to precondition the makeup air (with exchange of energy from exhaust and fresh air streams). 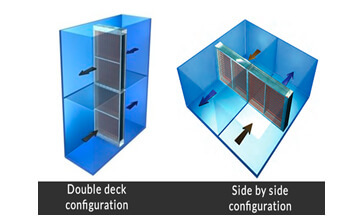 This reduces the load in the air conditioning equipment resulting in reduction of operating cost.